One of the most trusted home grown brands Micromax has added another product to the company’s computing devices. The consumer electronic company has launched its new Canvas Lapbook L1160 at an aggressive price of Rs, 10,499. 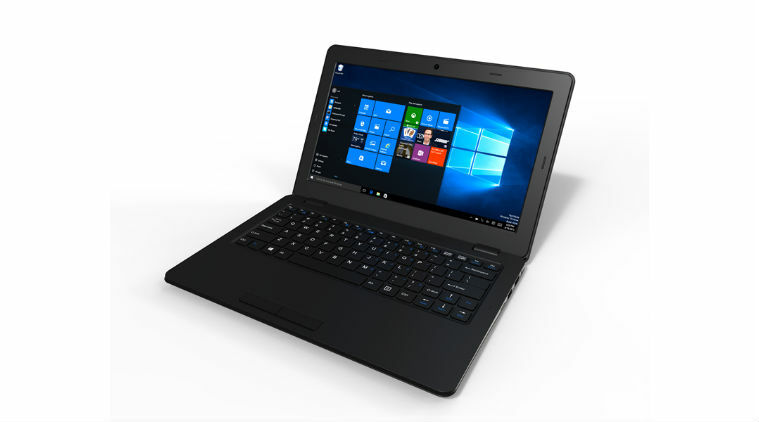 This laptop is exclusive to Amazon online store and it is targeted at the young students, first time laptop users and the ones who cannot go for an exorbitant laptop. Micromax has earlier launched a Canvas Lapbook L1161 that was almost the same but the new one comes with a few changes. The Lapbook L1160 comes with 4100 mAh battery whereas the Lapbook L1161 had 5000 mAh of battery. Other than this, the new model does not have a SIM card slot. The Micromax Canvas Lapbook L1160 features an 11.6 inch display with 1366 x 768 pixel resolution. It is powered by a quad-core Intel Atom Z3735 processor. For better graphics, it comes with Intel HD Graphics and has 2 GB of DDR3 RAM. It has 32 GB of internal memory which can further be expanded using a SD card or an external hard disk drive. On the connectivity front it has Wi-Fi 802.11 b/g/n, Bluetooth v4.1, an HDMI port, one Ethernet port, and 2 USB ports. It weighs 1.1 Kg and measures 295x199x18mm, which makes it quite compact and light weight to use. It also has a web camera on the front of the lid which is VGA (0.3 MP). It is powered by a 4100 mAh battery as we have already specified. It will be available in black colour only.